NIGRELLI G. & AUDISIO C.
In the hydrographic basins of the Alps, well-defined meteorological configurations lasting several consecutive days give rise to extraordinary rain events. These events often impact on the catchments, with repercussions on the valley floors and along the main channels network. Floods are frequent with ever greater associated damage. The Research Institute for Geo-hydrological Protection of the National Research Council (IRPICNR) has developed an interdisciplinary procedure for flood study. In this procedure, hydropluviometric data and information acquired from historical documentary sources are combined. The method is specifically designed to identify areas exposed to flood danger. 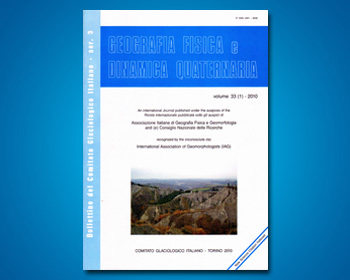 The procedure has been applied in the Orco river basin and this paper reports the results of this work.